Rosewood Services provides all-natural tomatoes to the community, essentially all year long. In the summertime, client-employees grow tomatoes the traditional way, in the Rosewood Gardens. But throughout the year, they continue to produce freshly grown tomatoes in the Rosewood Greenhouse with more than 150 tomato plants. The tomatoes are sold to the public at the Rosewood Furniture Gallery, as well as to area restaurants. Rosewood also uses the tomatoes in its Salsa, which is sold at the Rosewood Wine Cellar and the Furniture Gallery, both in downtown Great Bend. Besides Tomatoes, Rosewood client employees grow Jalapeño Peppers, which are used to make Salsa, Jelly and Cowboy Candy for retail sale. 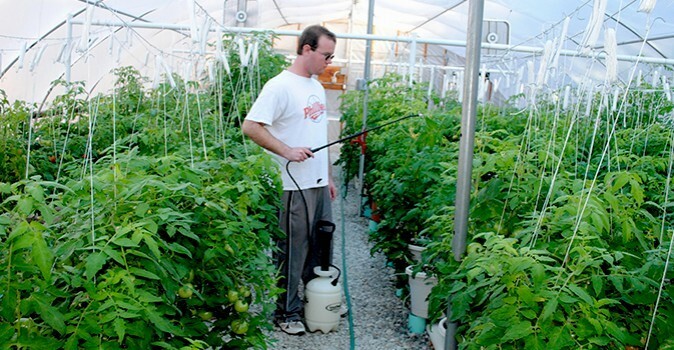 Growing produce is a daily process for about a dozen client-employees of Rosewood Services. Whether it’s the greenhouse or the gardens, they are involved with every detail of growing, harvesting and distributing tomatoes and peppers. 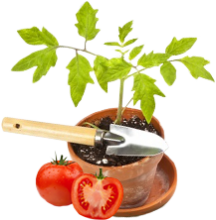 From seed planting, to darkroom germination, to transplanting plants, to fertilizing, spraying, picking produce and even delivering product to market. Nearly 5,000 pounds of tomatoes are grown annually by the client-employees of the Rosewood Greenhouse and Gardens. Given their quality reputation, Rosewood tomatoes sell nearly as fast as they are grown. Good thing there are always more coming! To meet demand, Rosewood is in the process of building an additional greenhouse, which is expected to more than double its current number of tomato plants.